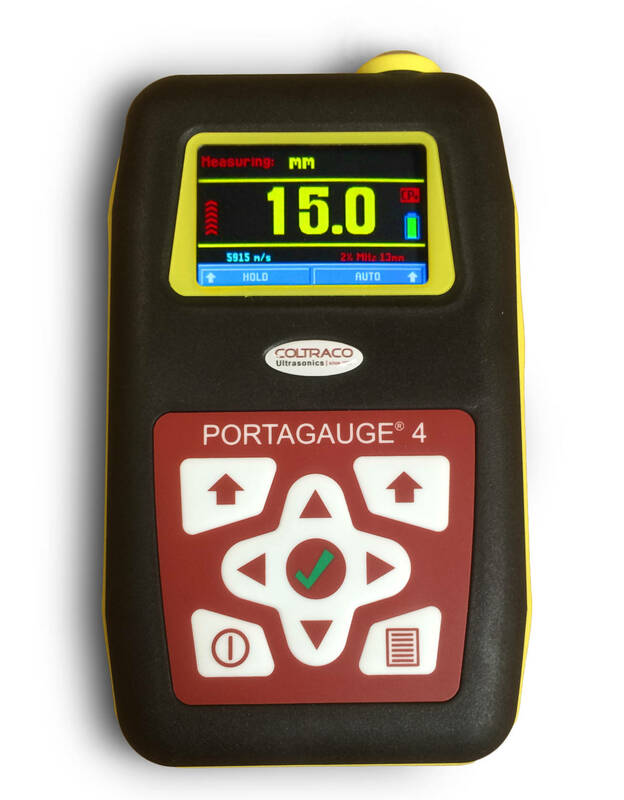 Adding to the successful the single-echo Portable Ultrasonic Thickness Gauge Portagauge ™ 3, Coltraco Ultrasonics are excited to announce the release of the Portagauge™ 4. The multiple echo Portagauge™ 4 offers unparalleled accuracy in taking metal only corrosion readings. The Portagauge™ 4 is precise, offering an accuracy to ±0.1mm and is able to ignore surface coatings such as paint. With easy calibration and no zero-ing required, the Portagauge 4 is ideal for effective and efficient thickness gauging applications, on-board ships by marine superintendents. The large colour LCD Numeric Digital Display and the soft moulded rubber casing makes the Portagauge™ 4 robust and user friendly. The variety of sensor options and underwater variants offered by the Portagauge 3 and 4 range, means that they can easily be adapted to a variety of different safety roles and requirements.